While searching for literature on ketone bodies, I can only seem to find how they are synthesized, but not how they are broken down. I'm looking for the series of events with enzyme names and intermediates. Does anyone have this? 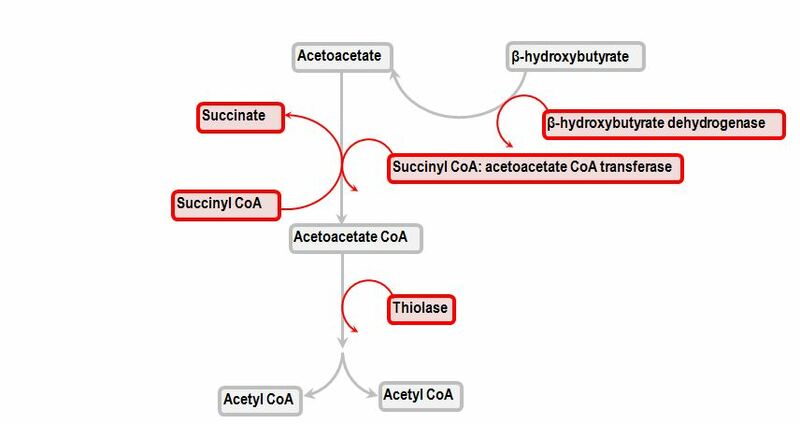 The second and the third are taken up by heart and brain cells and then converted into Acetyl-CoA which is fed into the citric acid cycle where it is further metabolized. Acetone is mostly excreted. See here for some more information. For a more detailed explanation of this process (both, the generation and the metabolization of the ketone bodies) see here. Can the kidneys utilize ketone bodies for energy? What's the lowest temperature a tardigrade can remain active at?